Here's our rundown of what's can, should, might and will come. We've been working very hard on this, so be sure to read it all and comment on what you think... Only a few days away! 1. The name: 'iPad' and iSlate have been thrown around. I've focus-grouped it with 9to5mac readers and iPad seems to do pretty well. 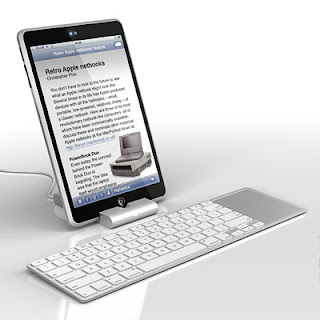 Apple may throw a curveball on this and could even bring back the 'iBook' name it used to use for its consumer laptops. Believe it or not, smart people in Cupertino and in Venice have given considerable thought to this and they'll come up with something. 2. Pricing: Analysts seem to think that there is no way in the world that people will pay the rumored $800-$1000 for this device. One thing to consider: this thing will likely have a 3G component to it and be sold subsidized, just like the iPhone, and almost every other handset out there. In fact, some netbooks are now seeing subsidized pricing from the carriers. So what does that mean for the tablet? That means the price could come down to $350 for an $800 product. Or how about $550 for a $1000 product? Remember the iPhone, when it was first released, was $599. Oh and don't forget, we are talking about Apple fanboys here who will mortgage their house to be the first to get their hands on Apple's kit. So don't worry about the price (it will come down later anyway). 3. "It will save the newspaper, book and magazine industry": Just like Apple "saved" the music industry? Apple will provide them a life line would be a better way to put it. Apple already has a few quality means of getting books and magazines on the iPhone. Scrollmotion, Zineo and other iPhone app developers already bring printed magazines and books to the iPhone. I'd be surprised if Scrollmotion (who presented at last year's WWDC and had a head start on the 3.0 - in app purchase SDK) didn't already have a head start on the tablet SDK. Since Apple is also dealing directly with the publishers, it is doubtful that they'd want to let Amazon build an eReader app for their tablet (like Microsoft demoed on the HP tablet). In fact, Amazon just did an about face and gave publishers a huge break on their cut of book sales this week — so I'd say Apple is making some headway here. 4. Screen resolution - iFrame. Have you heard of it? This one I am far from certain on, but I find Apple's iFrame standard a bit curious. The resolution is 960x540 which is exactly half of the height and half of the width of 1080P HD, yielding a quarter of the pixels. Interestingly, iFrame is also about double the length and double the width of the iPhone's 320x480 resolution yielding quadruple the pixels. This resolution is interesting because it could also give you four iPhone-sized windows to work with. In this vein, I submit that Apple's newest computer screen – the one on the new, smaller iMac – is exactly 1080P, 1920x1080. So what's half the diagonal of that screen? 10-11 inches, the very size of the rumored tablet, which would mean iFrame on the tablet would have the same dot pitch as the new smaller iMac, something I think Apple would be pleased with. That being said, I would like to see one of the 720P movies on this screen natively. 1366x768, 1280x800 or 1280x720 are all possibilities for the wishlist. 5. Processor: Apple bought PA Semi to "make chips for iPhones" as Steve Jobs put it to the New York Times after the deal was made. If that is indeed the case, then it isn't a stretch to consider that they are making tablet processors as well. (Contrary to what a German Intel executive said last year). Apple is believed to be a licensee of ARM's IP and their platform would make the most sense since the iPhone and even the Newton are both based on ARM designs. The current ARM Cortex A8 designs fill the high end smartphone world -- the iPhone, Pre, and Droid. But are these chips powerful and fast enough to run a high-priced, high performance tablet? Maybe not. 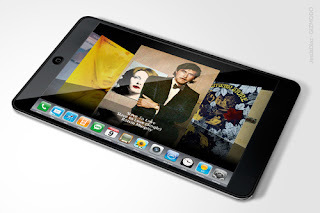 Therefore I am entertaining the idea that Apple has leaped forward a generation and licensed an ARM Cortex A9 design. These mullti-core designs can run up to 2GHz and are faster than Intel Atom chips, all while using a fraction of the energy. NVIDIA and Qualcomm both announced ARM Cortex processors at CES this year. It is certainly possible that Apple is also releasing Cortex A9. That's about the only hardware that can give faster than Netbook speeds on a device as thick as an iPod touch. So how fast is a Cortex A9? The DLink/Boxee Box uses such a chip to do 1080P mediacenter work, which up until now required an Intel chip. 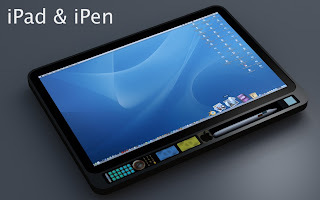 Its design would give Apple a huge advantage over other Intel tablet products in terms of performance per watt, something we know Steve Jobs holds very close to his heart. The tablet would be able to run for hours/days all the while displaying faster-than-netbook type speeds. That sounds like the kind of differentiators that will make us fanboys frothy at the mouth. 6. Cameras? Recent rumors have suggested that the tablet won't have a camera. This seems highly unfortunate but there might be a caveat here. Apple patented a way for the pixels of a screen to pick up images just like a CCD in a camera a few years ago. Perhaps a Bluetooth camera/headset will debut to replace Apple's discontinued bluetooth setup. Other reports say that the device will have a camera that recognizes the user using face recognition. That would bode well for video conferencing and augmented reality browsing as well as photo and video capture. 7. Human Interface? There have been recent mentions of Apple using a 3D navigation for multi-touch at some point in the future. Is January the future? I won't pretend to know this one. The tablet will probably resemble the iPhone's interface with some sort of Mobile/Lite Finder functionality so it can be used wherever a Netbook can. I think there will certainly be a multi-touch "language" you need to learn to use this device. 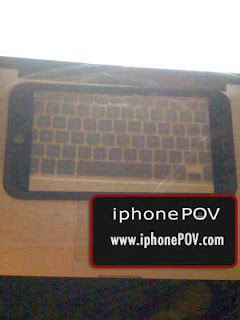 However, being Apple, it will be intuitive and easy to pick up. 8. Apps: I think Apple has to introduce some new apps for this product. It will be pretty boring without any, especially as no one else has any specifications for it yet. I think Apple could have a Touch Photoshop type of App at launch - the invite certainly conjures up an image of iPaint. Apple will hopefully have a word processor and maybe even some other productivity apps as well. iPhone apps that do video and audio could also become more "Pro" with feature additions too. Apple is also rumored to be releasing a new version of iLife on January 27th. The timing would seem to indicate that this version might be multi-touch and available for the tablet. 9. Peripherals: If you are meant to communicate with this thing, then obviously it will need audio in and out. A dock that turns the tablet into a full featured computer is a very interesting proposition. I wonder, though, if Jobs is willing to sacrifice MacBook and Mini sales for this device. It will be interesting to see how this tablet affects the sales of those products, dock or not. I don't know that Apple will let the tablet handle a Bluetooth keyboard for that very reason. I think Apple wants to fundamentally separate this from your computer workstation . 10. When? All signs point to March or April with overseas launches coming soon after. The iPhone, whether Apple likes to admit it or not, is a convergence device. Not only does it do the things that Steve Jobs mentioned above, it is also a networked camera and a map/compass/GPS. It does one hundred other things and it does them really well. What's more, the functions complement each other and make the others better. With the camera you can take a picture, geotag it, then SMS it to a friend who can locate you on a map. Any combination of its functionality can yield new uses. Indeed new ones are invented every day at the App Store. You could never do that sort of thing before the iPhone because a device that had this many functions and an operating system to handle them didn't exist. The tablet is the bigger brother of the original convergence device, offering a faster processor, bigger screen and new OS but losing the all-important ability to be pocketed. Just like we had no idea what the iPhone could do when it was released, we'd be foolish to think we can get our head around what this next device will be able to accomplish. It could just "redefine the experience of personal computing". How much does a tablet nowadays?